If Karina had grown up fifteen kilometers down the road in either direction north or south, in Gliwice or Bytom instead of Zabrze, her whole life would be different. Even as a child, she never doubted this. Location matters in destiny as much as it does in real estate. In Gliwice, it was every girl’s birthright to take ballet. The ballet teacher there was Miss Gosia, a former celebrated prima ballerina for the Polish National Ballet prior to Russian martial law, and because of this, it was considered a perk to raise daughters in otherwise grim Gliwice, an unrivaled privilege that every young girl would have access to such an accomplished teacher. These girls grew up wearing leotards and buns and tulle-spun hopes of pirouetting their way out of Gliwice someday. Without knowing specifically what has become of the girls who grew up in Gliwice, she’s sure that most, if not all, remain firmly anchored where they began and are now schoolteachers or miners’ wives whose unrequited ballerina dreams have been passed on to their daughters, the next generation of Miss Gosia’s students. If Karina had grown up in Gliwice, she would most certainly not have become a ballerina. She has horrible feet, wide, clumsy flippers with virtually no arch, a sturdy frame cast on a long torso and short legs, a body built more for milking cows than for pas de bourrée. She would never have been Miss Gosia’s star pupil. Karina’s parents would have put an end to bartering valuable coal and eggs for ballet lessons long before pointe shoes. Had her life started in Gliwice, she’d still be in Gliwice. The girls down the road in Bytom had no ballet lessons. The children in Bytom had the Catholic Church. The boys were groomed for the priesthood, the girls the convent. Karina might have become a nun had she grown up in Bytom. Her parents would’ve been so proud. Maybe her life would be content and honorable had she chosen God. But her life was never really a choice. She grew up in Zabrze, and in Zabrze lived Mr. Borowitz, the town’s piano teacher. He didn’t have a prestigious pedigree like Miss Gosia’s or a professional studio. Lessons were taught in his living room, which reeked of cat piss, yellowing books, and cigarettes. But Mr. Borowitz was a fine teacher. He was dedicated, stern but encouraging, and most important, he taught every one of his pupils to play Chopin. In Poland, Chopin is as revered as Pope John Paul II and God. Poland’s Holy Trinity. Karina wasn’t born with the lithe body of a ballerina, but she was graced with the strong arms and long fingers of a pianist. She still remembers her first lesson with Mr. Borowitz. She was five. The glossy keys, the immediacy of pleasing sound, the story of the notes told by her fingers. She took to it instantly. Unlike most children, she never had to be ordered to practice. Quite the opposite, she had to be told to stop. Stop playing, and do your homework. Stop playing, and set the dinner table. Stop playing, it’s time for bed. She couldn’t resist playing. She still can’t. Ultimately, piano became her ticket out of oppressive Poland, to Curtis and America and everything after. Everything after. That single decision—to learn piano—set everything that was to follow in motion, the ball in her life’s Rube Goldberg machine. She wouldn’t be here, right now, attending Hannah Chu’s graduation party, had she never played piano. She parks her Honda behind a Mercedes, the last in a conga line of cars along the side of the road at least three blocks from Hannah’s house, assuming this is the closest she’ll get. She checks the clock on the dash. She’s a half hour late. Good. She’ll make a brief appearance, offer her congratulations, and leave. Her heels click against the street as she walks, a human metronome, and her thoughts continue in pace with this rhythm. Without piano, she would never have met Richard. What would her life be like had she never met him? How many hours has she spent indulging in this fantasy? If added up, the hours would accumulate into days and weeks, possibly more. More time wasted. What could’ve been. What will never be. Maybe she would’ve been satisfied had she never left her home country to pursue piano. She’d still be living with her parents, sleeping in her childhood bedroom. Or she’d be married to a boring man from Zabrze, a coal miner who earns a hard but respectable living, and she’d be a homemaker, raising their five children. Both wretched scenarios appeal to her now for a commonality she hates to acknowledge: a lack of loneliness. Or what if she had attended Eastman instead of Curtis? She almost did. That single, arbitrary choice. She would never have met Richard. She would never have taken a step back, assuming with the arrogant and immortal optimism of a twenty-five-year-old that she’d have another chance, that the Wheel of Fortune’s spin would once again tick to a stop with its almighty arrow pointing directly at her. She’d waited years for another turn. Sometimes life gives you only one. But then, if she’d never met Richard, their daughter, Grace, wouldn’t be here. Karina imagines an alternative reality in which her only daughter was never conceived and catches herself enjoying the variation almost to the point of wishing for it. She scolds herself, ashamed for allowing such a horrible thought. She loves Grace more than anything else. But the truth is, having Grace was another critical, fork-in-the-road, Gliwice-versus-Bytom-versus-Zabrze moment. Left brought Grace and tied Karina to Richard, the rope tight around her neck like a leash or a noose, depending on the day, for the next seventeen years. Right was the path not chosen. Who knows where that might’ve led? Regret shadows her every step, a dog at her heels, as she now follows the winding stone path into the Chu family’s backyard. Hannah was accepted to Notre Dame, her first choice. Another piano student off to college. Hannah won’t continue with piano there. Like most of Karina’s students, Hannah took lessons because she wanted to add “plays piano” to her college application. The parents have the same motive, often exponentially more intense and unapologetic. So Hannah went through the motions, and their weekly half hour together was a soulless chore for both student and teacher. A rare few of Karina’s students authentically like playing, and a couple even have talent and potential, but none of them love it enough to pursue it. You have to love it. She can’t blame them. These kids are all overscheduled, stressed-out, and too focused on getting into “the best” college to allow the nourishment passion needs to grow. A flower doesn’t blossom from a seed without the persistent love of sun and water. But Hannah isn’t just one of Karina’s piano students. Hannah was Grace’s closest friend from the age of six through middle school. Playdates, sleepovers, Girl Scouts, soccer, trips to the mall and the movies—for most of Grace’s childhood, Hannah was like a younger sister. When Grace moved up to the high school and Hannah remained in middle school, the girls migrated naturally into older and younger social circles. There was never a falling-out. Instead, the friends endured a passive drifting on calm currents to separate but neighboring islands. They visited from time to time. Hannah’s graduation milestone shouldn’t mean much to Karina, but it feels monumental, as if she’s sustaining a bigger loss than another matriculated piano student. It trips the switch of memories from this time last year, and it’s the end of Grace’s childhood all over again. Karina leaves her card for Hannah on the gift table and sighs. Even though Hannah’s at the far end of the expansive backyard, Karina spots her straightaway, standing on the edge of the diving board, laughing, a line of wet girls and boys behind her, mostly boys in the pool, cheering her name, goading her to do something. Karina waits to see what it will be. Hannah launches into the air and cannonballs into the water, splashing the parents gathered near the pool. The parents complain, wiping water from their arms and faces, but they’re smiling. It’s a hot day, and the momentary spray probably felt refreshing. Karina notices Hannah’s mom, Pam, among them. Now that Hannah is moving to Indiana, Karina assumes she won’t see Pam at all anymore. They stopped their Thursday-night wine dates some time ago, not long after Grace started high school. Over the past couple of years, their friendship dwindled to the handful of unfulfilling moments before or after Hannah’s weekly piano lesson. Tasked with shuttling her three kids to and from a dizzying schedule of extracurricular activities all over town, Pam was often too rushed to even come inside and waited for Hannah in her running car. Karina waved to her from the front door every Tuesday at 5:30 as Pam pulled away. Karina almost didn’t come today. She feels self-conscious about showing up alone. Naturally introverted, she’d been extremely private about her marriage and even more shut-in about her divorce. Assuming Richard didn’t air their dirty laundry either, and that’s a safe bet, no one knows the details. So the gossip mill scripted the drama it wasn’t supplied. Someone has to be right, and someone has to be wrong. Based on the hushed stares, vanished chitchat, and pulled plastic smiles, Karina knows how she’s been cast. The women in particular sympathize with him. Of course they do. They paint him as a sainted celebrity. He deserves to be with someone more elegant, someone who appreciates how extraordinary he is, someone more his equal. They assume she’s jealous of his accomplishments, resentful of his acclaim, bitter about his fame. She’s nothing but a rinky-dink suburban piano teacher instructing disinterested sixteen-year-olds on how to play Chopin. She clearly doesn’t have the self-esteem to be the wife of such a great man. They don’t know. They don’t know a damn thing. Grace just finished her freshman year at the University of Chicago. Karina had anticipated that Grace would be home for the summer by now and would be at Hannah’s party, but Grace decided to stay on campus through the summer, interning on a project with her math professor. Something about statistics. Karina’s proud of her daughter for being selected for the internship and thinks it’s a great opportunity, and yet, there’s that pang in Karina’s stomach, the familiar letdown. Grace could’ve chosen to come home, to spend the summer with her mother, but she didn’t. Karina knows it’s ridiculous to feel slighted, forsaken even, but her emotions sit on the throne of her intellect. This is how she’s built, and like any castle, her foundational stones aren’t easily rearranged. Her divorce became absolute in September of Grace’s senior year, and exactly one year later, Grace moved a thousand miles away. First Richard left. Then Grace. Karina wonders when she’ll get used to the silence in her home, the emptiness, the memories that hang in each room as real as the artwork on the walls. She misses her daughter’s voice chatting on the phone; her giggling girlfriends; her shoes in every room; her hair elastics, towels, and clothes on the floor; the lights left on. She misses her daughter. She does not miss Richard. When he moved out, his absence felt more like a new presence than a subtraction. The sweet calm that took up residence after he left filled more space than his human form and colossal ego ever did. She did not miss him then or now. But going to these kinds of family events alone, without a husband, tilts her off-balance as if she were one cheek atop a two-legged stool. So in that sense, she misses him. For the stability. She’s forty-five and divorced. Single. In Poland, she’d be considered a disgrace. But she’s been in America now for over half her life. Her situation is common in this secular culture and imposes no shame. Yet, she feels ashamed. You can take the girl out of Poland, but you can’t take Poland out of the girl. Not recognizing any of the other parents, she takes a deep breath and begins the long, awkward walk alone over to Pam. Karina spent an absurdly long time getting ready for this party. Which dress, which shoes, which earrings? She blew out her hair. She even got a manicure yesterday. For what? It’s not as if she’s trying to impress Hannah or Pam or any of the parents. And it’s not as if there will be any single men here, not that she’s looking for a man anyway. She knows why. She’ll be damned if anyone here looks at her and thinks, Poor Karina. Her life’s a mess, and she looks it, too. The other reason is Richard. Pam and Scott Chu are his friends, too. Richard was probably invited. She could’ve asked Pam if Richard was on the guest list—not that it mattered, just to be forewarned—but she chickened out. So there it is, the stomach-turning possibility that he might be here, and the even more putrid thought that he might show up with the latest skinny little twentysomething tart hanging on his arm and every self-important word. Karina rubs her lips together, making sure her lipstick hasn’t clumped. Her eyes poke around the yard. He’s not standing with Pam and the cluster of parents by the pool house. Karina scans the pool, the grilling island, the lawn. She doesn’t see him. She arrives at the pool house and inserts herself into the circle of Pam and Scott and other parents. Their voices instantly drop, their eyes conspiring. Time pauses. “Hey, what’s going on?” Karina asks. The circle looks to Pam. “Oh.” This isn’t earth-shattering news. He’s canceled gigs and touring dates before. Once, he couldn’t stand the conductor and refused to set foot onstage with him. Another time, Richard had to be replaced last minute because he got drunk at an airport bar and missed his flight. She wonders what reason he has this time. But Pam and Scott and the others stare at her with grave expressions, as if she should have something more compassionate to say on the subject. Her stomach floods with emotion, her inner streets crowding fast as a fervent protest stands upon its soapbox in her center, outraged that she has to deal with this, that Pam especially can’t be more sensitive to her. Richard’s canceled tour isn’t her concern. She divorced him. His life isn’t her problem anymore. “You really don’t know?” asks Pam. They all wait for her answer, lips shut, bodies still, an audience engrossed in watching a play. A nervous half-laugh escapes her, and the sound finds no harmony. She searches the circle of parents for connection, even if the comment was slightly inappropriate, for someone to forgive her a bit of dark humor. But everyone either looks horrified or away. Everyone but Pam. Her eyes betray a reluctant nod. This reading group guide for Every Note Played includes an introduction, discussion questions, and ideas for enhancing your book club. The suggested questions are intended to help your reading group find new and interesting angles and topics for your discussion. We hope that these ideas will enrich your conversation and increase your enjoyment of the book. As an accomplished concert pianist, Richard received standing ovations from audiences all over the world. The last time that happened was eight months ago. Since then Richard has been diagnosed with ALS, and his right arm is paralyzed, leaving him unable to play. Three years ago, Karina finalized her divorce with Richard, but she still hasn’t moved on. Karina is paralyzed by excuses and fear—stuck in an unfulfilling life as a piano teacher, afraid to pursue the path she abandoned as a young woman, and blaming Richard and their failed marriage for all of it. Poignant and powerful, Every Note Played is a heartbreaking exploration of regret, forgiveness, freedom, and what it means to be alive. 1. 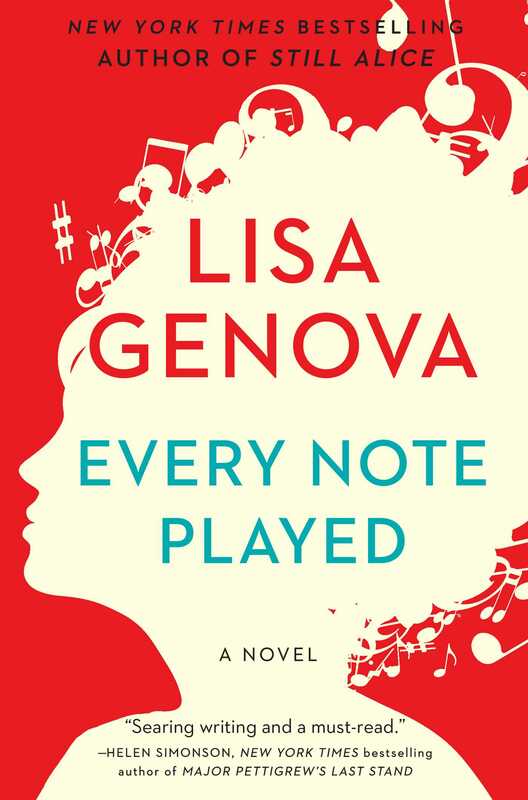 Why do you think Lisa Genova chose the title Every Note Played for this novel? How did the title help your reading of the novel? Richard and Karina were both professional pianists. Describe how they relate to the music they played. Were there any notes or compositions that were particularly meaningful to them? 2. Karina wonders if she could “have seen the red flags through the thick haze of lust at twenty.” (p. 43) What do you think? Were there any warning signs that Richard wasn’t the person he seemed? Describe their early relationship. What initially drew Richard and Karina to each other? 3. Discuss the structure of Every Note Played. What’s the effect of having the chapters alternate between Richard’s life and Karina’s? Does it help you understand both of the characters? If so, how? 4. As he is performing, Richard remembers Karina telling him, “Being married is more than wearing a ring.” (p. 2) What triggers this memory for Richard? Explain Karina’s statement, particularly in light of her marriage to Richard. Were you surprised to learn the reasons for their divorce? What does being married mean to you? 5. Upon learning of Richard’s diagnosis, Karina pays him a visit. “She had such good intentions,” and wonders how it went “so wrong.” (p. 32) Describe the visit. Did you learn anything that surprised you about their relationship? What are Karina’s motivations for visiting Richard? Do you think that her intentions are good? Why or why not? 6. While Richard and Karina were both classically trained pianists, Karina’s true passion is playing jazz piano. What does she like about jazz? Why does Richard prefer classical music? Do their musical preferences reflect their personalities? How so? 7. Richard comes to think of Bill as “equal parts brother, doctor, parent, and friend.” (p. 96) What did you think of him? How does he help Richard preserve his sense of dignity and humanity? What’s effect does Bill have on Karina? 8. While Richard’s ALS is progressing, he reflects on how “in a million ways, living with ALS is a practice in the art of Zen.” (p. 98) For example, although Richard dislikes Broadway musicals, he does not tell Bill when Bill sings show tunes. Why not? Can you think of any other instances when Richard practices “the art of Zen”? What are they? 9. While visiting Richard, Karina reflects on how “the story of their lives can be an entirely different genre depending on the narrator.” (p. 29) Explain this statement. How would you characterize the story of Richard and Karina’s marriage as told from Karina’s perspective? What about Richard’s? Are there any other instances in Every Note Played when two characters experience the same event completely differently based on their perspective? What are they? 10. Who is Alexander Lynch? Describe his performance. How is seeing it a transformative experience for Karina? Explain why Karina originally resisted going on the trip where she encounters Alexander. Do you agree with her rationale? Why or why not? 12. Upon hearing that Grace has told her boyfriend that Karina is “an amazing pianist,” Karina is “caught surprised, moved that Grace would describe her this way.” (p. 38) Describe Karina’s reaction to Grace’s praise. Why did Karina give up her career? How much blame, if any, does Richard deserve? What does Karina think? 13. Describe Dr. George. How is Dr. George able to relate to Richard and put him at ease? Dr. George suggests that Richard consider recording “legacy messages.” What are they? What does Richard think about them? Discuss legacy messages with your book club. If you were in Richard’s situation, for whom would you want to record these messages? What would your messages say? 14. At the clinic, the practitioners use the term care, “and Richard doesn’t openly object but care is not provided every three months when he comes for his appointment.” (p. 51) Why does Richard continue to go to the clinic? Does Richard’s opinion regarding the “care” that he gets at the clinic change? If so, why? Are there different ways to provide care? What kind of care does Kathy provide to Richard? Compare and contrast it with the care that Bill and Karina provide him. 1. When Richard first listens to jazz, “The compositions are scribbles, run-on sentences without proper grammar and no punctuation.” (p.224-225) Listen to jazz, including some of the artists that Richard does, such as Miles Davis, Herbie Hancock, and John Coltrane, with your book club. Did you like what you heard? Discuss your thoughts with your book club. 2. Karina bakes makowiec for her family’s Christmas Eve dinner. Find a Polish recipe and try it with your book club. What do you think of it? Do you have any culinary traditions associated with the holidays? Share them with your book club. Why do you think Richard asks Karina to feed him some of the makowiec? 3. Listen to Maurice Ravel’s Piano Concerto for the Left Hand with your book club. Did you enjoy it? Why is this musical composition particularly meaningful to Richard? Are there any musical compositions that hold a special place in your heart? What are they? 4. 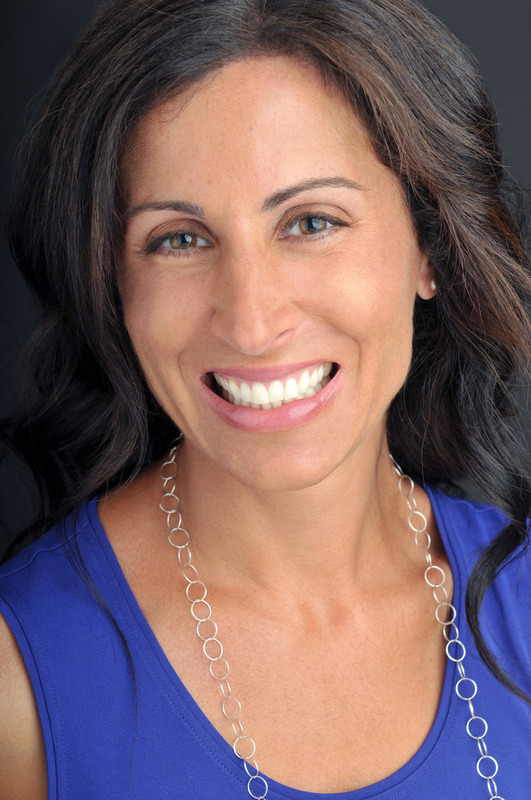 To learn more about Lisa Genova, read more about her other books, and find out when she will be in a city near you, visit her official site at www.LisaGenova.com. How did the experience of writing Every Note Played compare to your previous writing experiences? Your previous novels have been critically acclaimed New York Times bestsellers—did you feel added pressure while writing this one? I wrote this book much faster than any of my other books. Eight of the people I’d come to know with ALS died before I finished the final draft. This disease can move with alarming speed, and I think this lent a sense of urgency while I was writing, that I couldn’t write fast enough. I was very much aware that many of these new friends of mine would die before they had the chance to read what they had helped me create. I penned the first draft of Every Note Played in less than a year, and it came out of me almost fully formed. The only pressure comes from the sense of enormous responsibility I feel to the people living with these conditions and diseases. ALS is brutally unfair, cruelly debilitating, shockingly fast, and deadly. For the families who invited me into their lives at their most vulnerable, who shared their fears and hopes and tears and naked truths, and for every family traveling a similar journey, I want to make the best use of what they so generously gave me. I want to make them proud. I want this story to expand the world’s consciousness of ALS beyond the ice buckets, to generate a compassionate awareness that contributes to better resources for care and research that leads to treatments and ultimately an end to this hideous disease. Many of your novels center around neurodegenerative diseases. Why did you decide to focus on ALS in this novel? This book began with Richard Glatzer, who, along with his husband Wash Westmoreland, wrote and directed the film Still Alice. Richard had bulbar ALS, which means that his symptoms began in the muscles of his face and neck. I never heard the sound of Richard’s voice. He brilliantly codirected Still Alice by typing with one finger on an iPad. Shortly after the film premiered at the Toronto International Film Festival, I told Richard that I wanted to write about ALS next and asked him if he would help me understand some of what he’s experiencing. He was all in. We communicated by email. At this point, both of Richard’s arms were paralyzed. He wrote to me with his big toe. I am forever grateful to him for all he gave to the creation of the film Still Alice, for sharing with me what it feels like to live with ALS, for showing us all what grace and courage look like, for not giving up on his dreams. Richard died on March 10, 2015, shortly after Julianne Moore won the Oscar for Best Actress. Were there other people who informed your research? As with all of my books, I do intensive research. My goal is to tell the truth under the imagined circumstances, so I need to know the details in detail. This can’t be done in a Google search. I came to know thirteen people living with ALS, all in various stages of the disease, from less than a week after diagnosis to the day some passed away. Eight of the thirteen died before I finished writing this story. I’m honored, humbled, and forever changed by knowing all of these beautiful people and their families, grateful for every exquisitely intimate insight they shared with me. I became particularly close to Kevin Gosnell (and his family), Chris Engstrom, and Chris Connors, and miss them immensely. I shadowed neurologists James Berry and Merit Cudkowicz and nurse practitioner/codirector Darlene Sawicki at the ALS Clinic at Massachusetts General Hospital; I had countless invaluable conversations and road trips to the beds and living rooms of people living with ALS with Ron Hoffman, founder, director, and hero of Compassionate Care ALS; I interviewed Jamie and Ben Heywood, who lost their brother to ALS (their family’s story is profiled in the film So Much So Fast and in the book His Brother’s Keeper: A Story from the Edge of Medicine by Jonathan Weiner); I spent time with Rob Goldstein and the amazing folks at ALS TDI; I visited Steve Saling and Patrick O’Brien at the Leonard Florence Center for Living; (see Patrick’s documentary TransFatty Lives); I learned about Hospice care from Kathy Bliss and augmentative communication options from John Costello; I FaceTimed with folks who didn’t live near me, as far away as British Columbia. Can you tell us about your writing process? Did knowing that ALS is a terminal illness affect the way that you wrote? Were there any turns that the plot took that surprised you? Knowing so many people with ALS who were approaching their imminent deaths and facing it with them definitely affected the way I chose to write this novel. Although I’d touched on mortality and death in all of my previous books, death is almost an unavoidable main character in a story about ALS. There’s no dancing around it. I had many candid conversations about death and dying with the people I knew with ALS, and I read many books on this topic, including When Breath Becomes Air by Paul Kalanithi, Being Mortal by Atul Gawande, The Tibetan Book of Living and Dying by Sogyal Rinpoche, Awake at the Bedside by Koshin Paley Ellison and Matt Weingast, and How We Die by Sherwin B. Nuland. Plot turns that took me by surprise? I was shocked when Richard’s father died. I did NOT see that coming! Do you have any favorite scenes in Every Note Played? What are they? Music plays an important role in the lives of Richard and Karina, and you wrote about each of their styles with such authenticity. How did you accomplish this? What were you listening to while you wrote? What would you like your readers to take away from Every Note Played? Maybe prior to reading Every Note Played, readers read Tuesdays with Morrie, watched The Theory of Everything, or dumped buckets of ice water over their heads. They probably had some awareness of ALS. I hope they now have a deeper and more compassionate understanding of what it feels like to live and die with this disease.